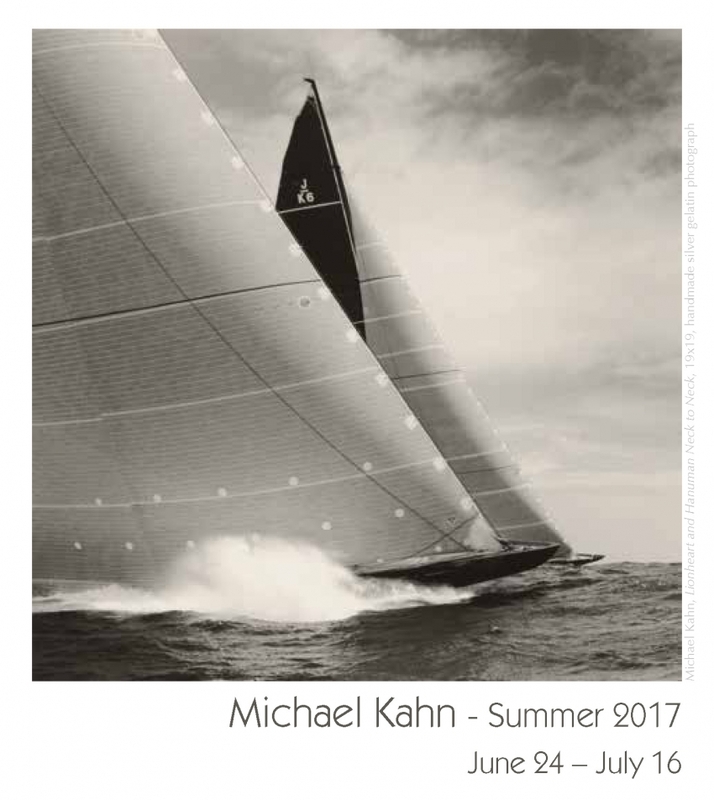 Celebrating the J Class Revival, we will be hosting a three week exhibition of new work by world renowned photographer Michael Kahn. For almost twenty years Kahn has been following the J Class yachts around the world. Most of these new images were captured in the March 2017 St. Barths Bucket Regatta where six J Class yachts competed. Kahn’s work will be featured in the front gallery and will include both handmade silver gelatin photographs and several over sized archival pigment prints. Zemma Mastin White, Blake Conroy, Leigh Wen, Eve Stockton, Ken Schiano, Katherine Kerr Allen, Susan Tessem, Deborah Weiss, Douglas Elliott, Joe Karlik, Lisa Lebofsky and Elizabeth Casqueiro.